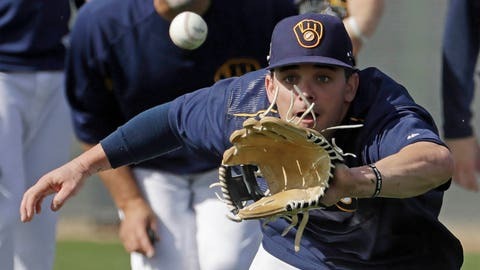 The Milwaukee Brewers' Scooter Gennett catches a ball during a spring training workout Monday in Phoenix. 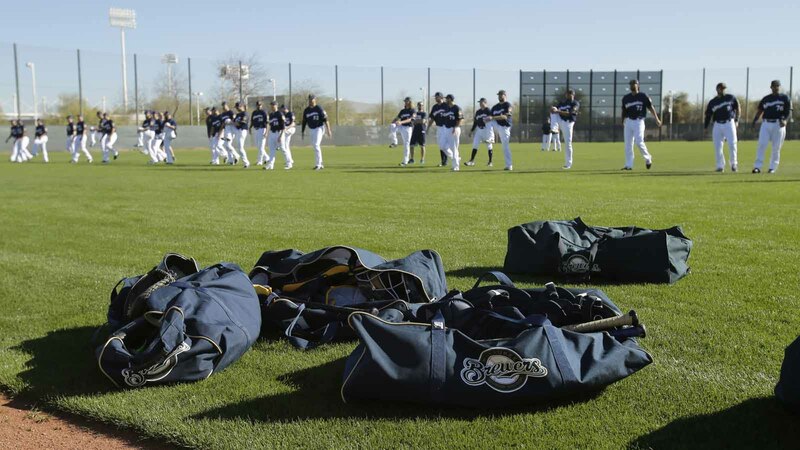 At Phoenix, Brewers prospect Lewis Brinson homered twice and drove in four runs, and Scooter Gennett added a solo shot in an 11-0 win over the UW-Milwaukee Panthers at Maryvale Baseball Park in Arizona. Jesus Aguilar and Dustin Houle also homered for the Crew. Brinson played center field and led off. He was obtained at the trade deadline last year when Milwaukee dealt veteran catcher Jonathan Lucroy to Texas. Billy Quirke and Mike Ferri each got a hit for the Panthers.